Image components from Penguin's 1967-1987 edition of A Midsummer Night's Dream, Edited by Stanley Wells. For More information on the source of the images and (most of) the text, see the "2014: Shakespeare" page. I love a bit of Shakespeare. Reading the plays, watching the plays, watching an adaption, reading an adaption, watching a film performance - anything! The beauty of Shakespeare (for me) is the timelessness. Whether you set the Taming of the Shrew in 1593 when it was first performed, or in the 1999 adaption into 10 Things I Hate About You, the stories stay the same through their universal themes. 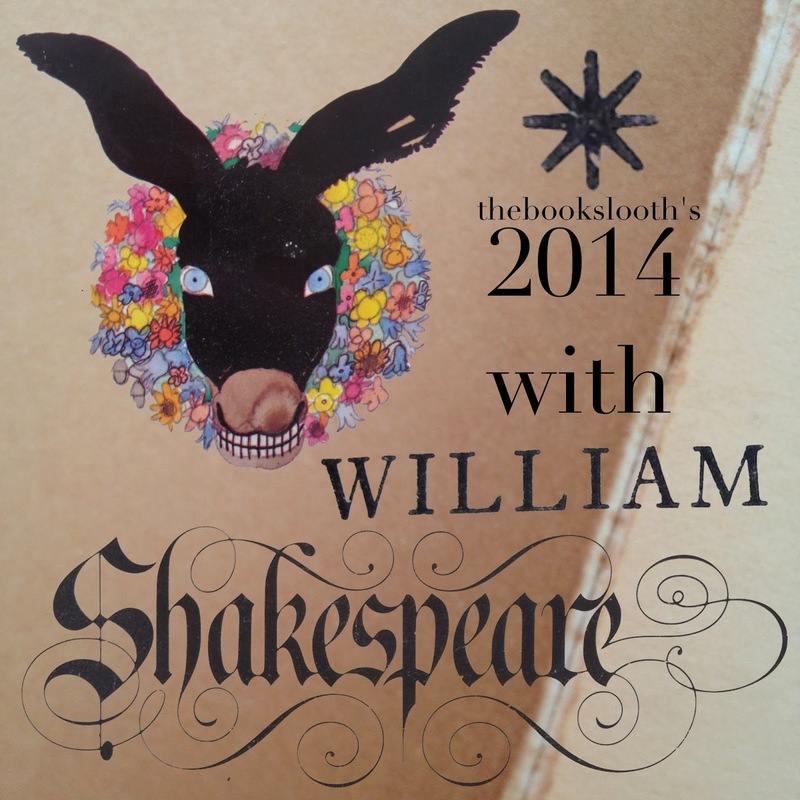 That's why I have decided to make 2014 Shakespeare's year. Every month I am going to read and talk about 1 of his plays. I will also probably be watching various adaptions of the play, and, if applicable, might read a re-do of the selected play. I look forward to hearing from everyone, and discussing King Lear throughout the month. Any suggestions for discussion topics? Let me know in the comments! Yes - you guessed right, I had planned to read Twelfth Night for February (although it may be appropriate for December!). Thanks for joining in! Even though I have already diverged and ventured on a journey with Much Ado About Nothing, and a brief jaunt with Macbeth! Look forward to hearing from you, and I hope that you enjoy Twelfth Night - I know I do!